Have fear and guilt due to Feeling Guilty about putting off dental visits? Have very Sensitive Teeth or Struggle Getting Numb? Traumatic Dental Visits in the past? Want all of your dental needs to be done in One or Two Visits? Hatred of Needles and Shots within your mouth? Drills, Noises, Smells and Tastes associated with a Dental Office cause Anxiety or Nausea? Despite severe tooth aches, bad breath and embarrassing smile you avoid the Dentist? Are you very uncomfortable lying in the dental chair? Do you have a very Strong Gag Reflex? If you answered “yes” to any of these questions you MUST see Pasadena Texas Sedation Dentist Michael Nugent. Let Dr. Nugent show you the many reasons dental sedation can help fearful patients. Dr. Nugent, Why do so many Deer Park residents put off their dental care? Many Deer Park, Texas residents are never able to overcome the past dental experiences. They put off going to the dentist. This leads to greater risk for cavities, gum disease and tooth loss. Financially they spend more money trying to fix major dental problems then if they would have had routine dental care and problems were stopped early. With Sedation Dentistry Dr. Nugent can help people no longer fear there dental appointments. 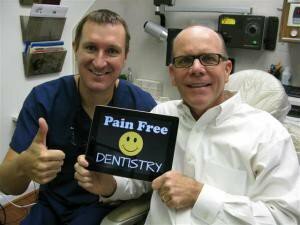 Pasadena Texas Dentist Michael Nugent is a leader in Sedation Dentistry. Do no let fear or anxiety prevent you from seeing the dentist. Dr. Nugent can use laughing gas (nitrous oxide) and oral medications to give you a relaxed dental visit. 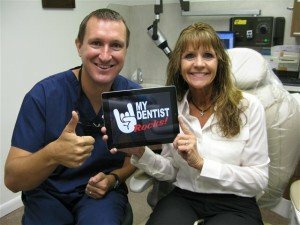 Dr. Nugent was voted BEST PASADENA TEXAS DENTIST in 2010 and BEST PASADENA TEXAS DENTIST in 2011. See why people from Pasadena, Deer Park, La Porte, League City, Friendswood, Pearland, Clear Lake, Webster and Houston Texas travel to see “THE PASADENA TEXAS DENTIST.” Call our office today at 713-941-8261.